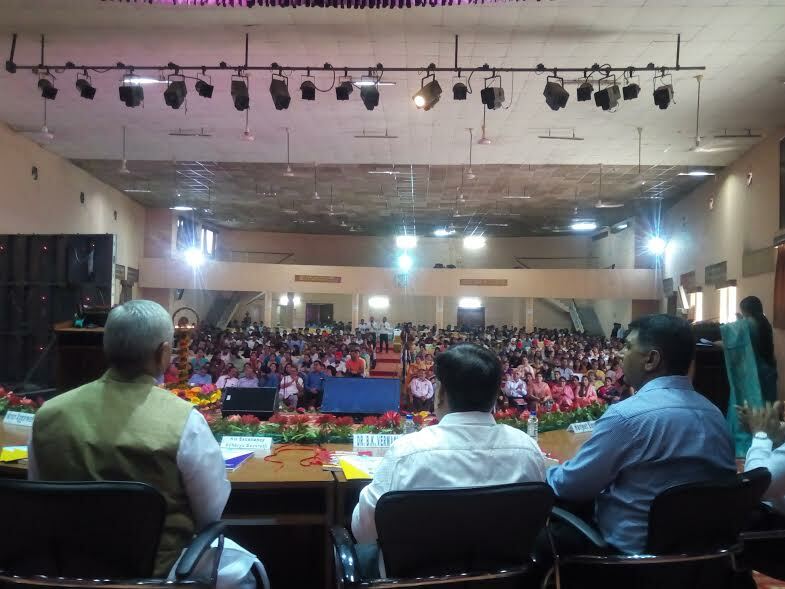 Report by Vijyender Sharma, Chandigarh: Governor Himachal Pradesh Acharya Devvrat presided over the Annual Prize Distribution function of DAV College, Chandigarh, today. Addressing the students on this occasion, he advised them to set targets for themselves in life and strive hard to achieve them. “Those who take hard, right and difficult decisions in life and serve the humanity, make a name for themselves and create history.” said Acharya Devvrat. He said persons of great eminence like Abraham Lincoln and Dr. A.P.J Abdul Kalam worked very hard in life, achieved great heights and worked for betterment of humanity. Acharya Devvrat said that DAV institutions in the country produced brilliant students and inculcated in them high social and moral values so that they could serve the nation in a better way. He said India is a young nation with more than 65 percent young population. This young population is strength of the country and in a position to make India a strong nation. He congratulated the college management and students for their remarkable achievements in almost every sphere. He hoped that the students of the college would also associate themselves with the social awareness campaigns and be a part of campaign to eradicate social evil from the society. The Governor also distributed prizes to the students who have excelled in academic, sports and other activities at International, National and Inter College Level. Dr. B.C.Josan, Principal, DAV college Chandigarh welcomed the Governor on the occasion and detailed out academic achievements of the college. Dr. B.K.Vermani, Deen, Shri Amanendra Mann and Arun Aggarwal, member, Governing Body, Shri Harbert Singh, Staff Secretary, staff members and students were also present on the occasion.